Castrol is perhaps one of the most recognized and reputed names in the lubricant and oil industry. The company has nearly a hundred years of experience in the industry, and over the years their products have evolved tremendously. Castrol motorcycle products share the same affinity with quality and reliability as their other products. Everything from their engine oil to gear oil and grease has been extensively tested to ensure that they offer the best protection to your engine while boosting performance. Independently tested to ensure that buyers can trust the claims made. How to buy genuine motorcycle products? Many people are proud motorcycle owners. Just like cars their engines and other parts need to be cared for to ensure peak performance. The best way to buy the right Castrol motorcycle products is to refer to your motorcycle’s user manual. Learn as much as you can about your motorcycle’s lubricating requirements and buy accordingly. The most important thing to keep in mind is the viscosity of the oil you buy. You also need to keep the current weather and the last oil change in mind. 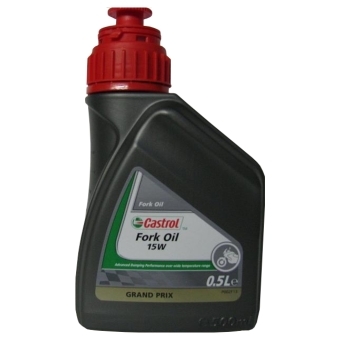 123engineoil.co.uk sells only lubricants that you can trust and we can guarantee is original. We partner with some of the top brands in the oil industry to offer our buyers competitive prices. Plus, we add free delivery for all purchases within the UK. So, you don’t have to worry about finding a high-quality product and saving money when buying from 123engineoil.co.uk.